It’s finally raining! We’ve had days of grey and stormy skies, and finally last night it started to rain a nice, slow, sweet rain. 14 hours later, it’s still lightly raining. Ahhhh! 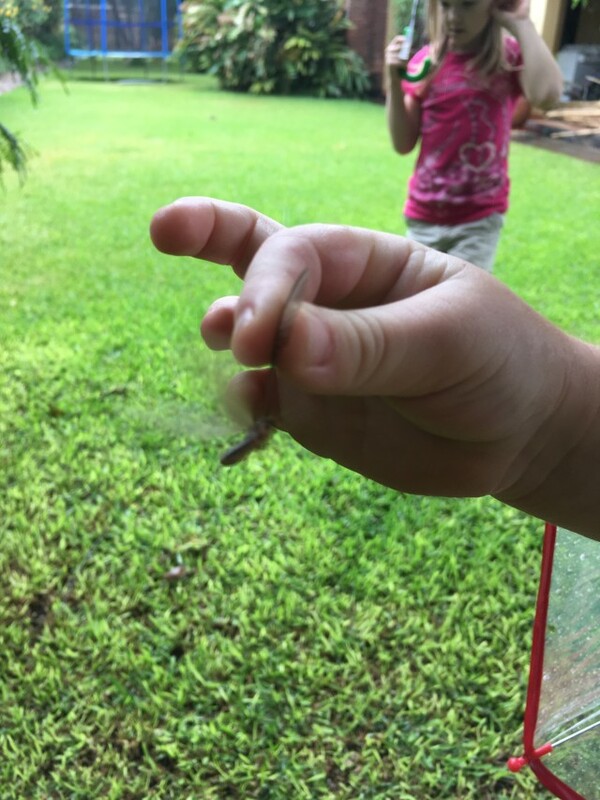 The big termites are better for eating, so these we were just catching for fun. Until… we found something that did want to eat them! Sorry it’s blurry, this little rain frog was really going places! The girls watched him catch a few termites himself, then they decided to “help” him. 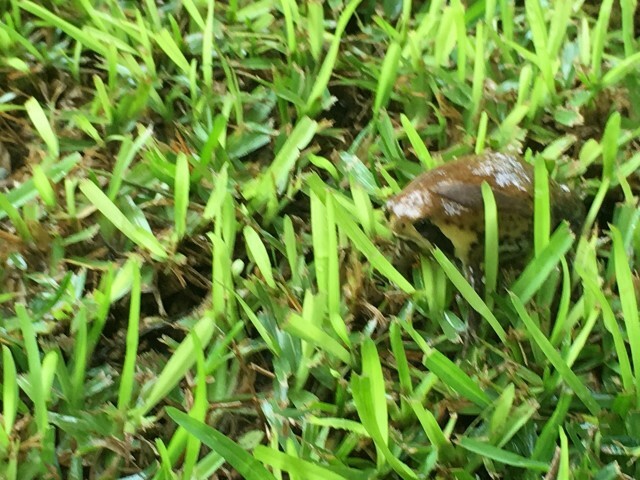 Here froggy! Have a termite! This entry was posted in Abigail, Amusing Things, Life in Africa, Naomi, Our House. 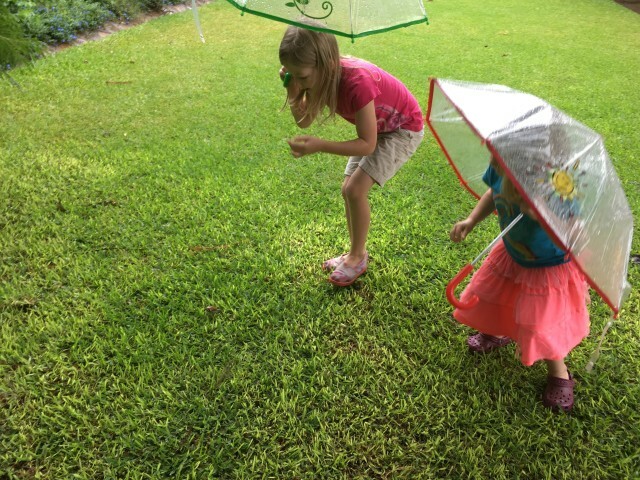 What fun adventures for the girls… and the rain frog!